It was originally a $2000 sofa, back in the mid 90s. 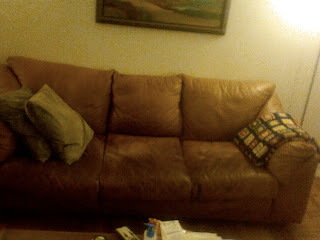 Now, it's just a care worn, albeit comfy old sofa. I bought a 'new' one off Craigslist, and this one is going out on the curb.